The Knotty & Nice Collection includes a variety of mix-and-match flatware, serving pieces & accessories with a twist! Each knot is an elegant expression of friendship, love or strong bond of any kind. 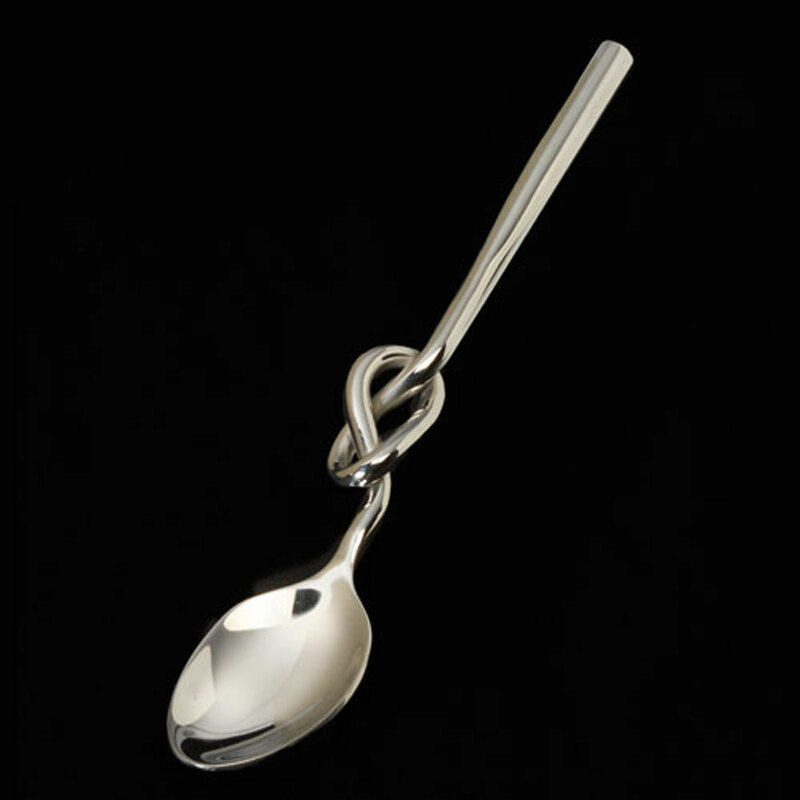 Hearty Knotty Spoon has a longer handle than Knotty Spoon, which is cocktail size. Also Available: Knotty Spoon, Knotty Shpoon . Handcrafted of food-safe polished aluminum. Size: 7.5"